Icy drinks and hot summer days go hand in hand so we want to share a delicious summer drink recipe with you. Hydrate yourself with concoctions perfect for the summer heat! 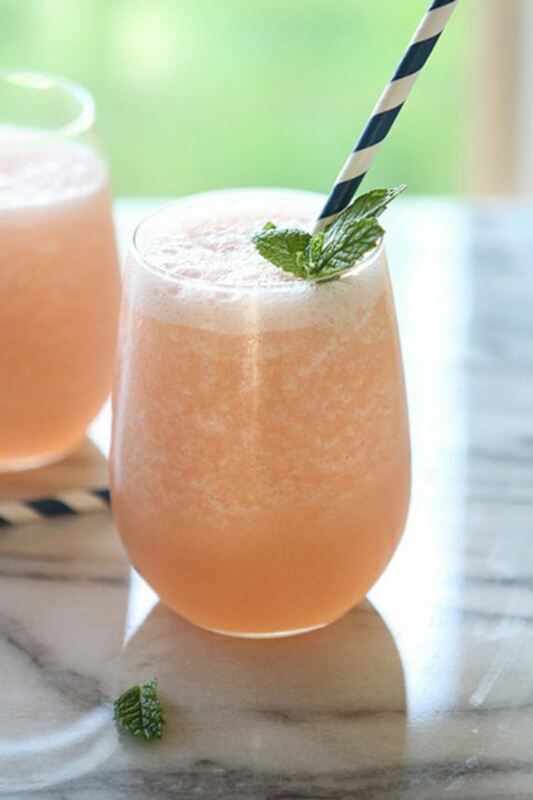 Beat the heat with these cool summer drink recipes. Smoothies, lemonades, iced tea. 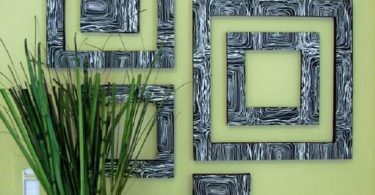 Enjoy the long hot summery days! This lemonade is more like a dessert than a beverage. 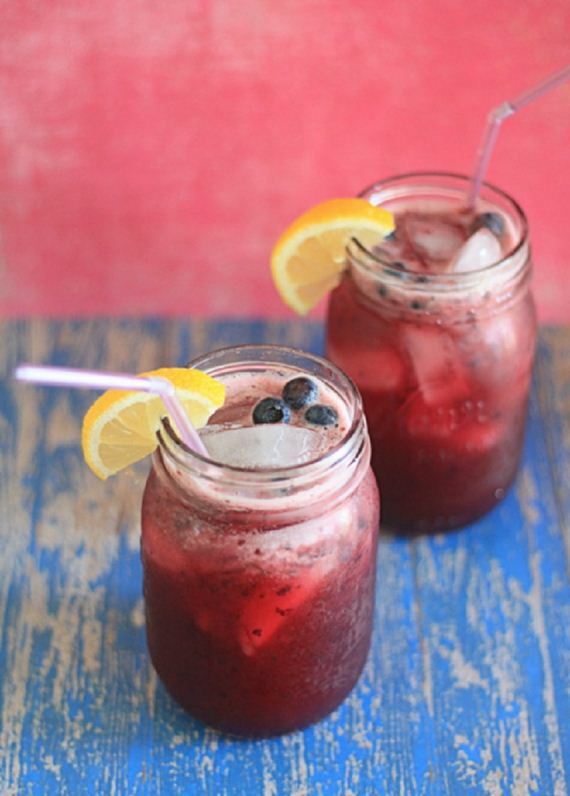 It’s bursting with gobs of fresh, sweet blueberry flavour – all those purred blueberries swimming with tart lemon and sugar make for a very special summer drink. 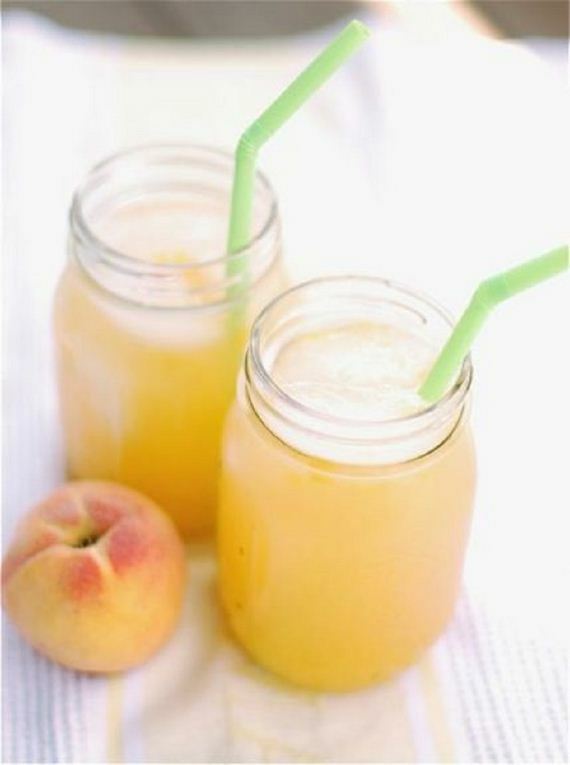 You could actually taste little bits of peach in every slurp. It struck just the right balance between sweet and tart and was perfectly refreshing on such a hot day. We consider this a power nap recipe because it barely took any time at all. We saved a little time by using fresh squeezed lemonade. 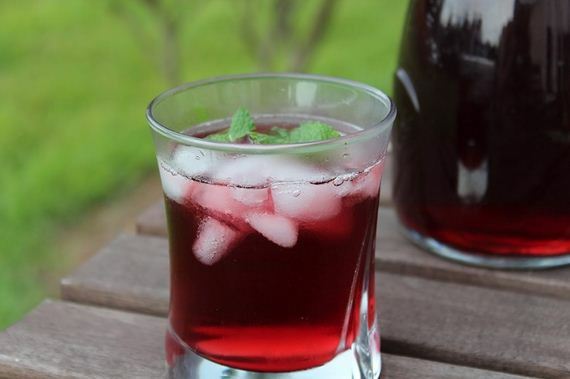 You can find pomegranate juice all year long, so why not enjoy it in this fruity ice tea? Great alternatives to sugar is honey, agave nectar and stevia. For extra zing, add a squeeze of lime. 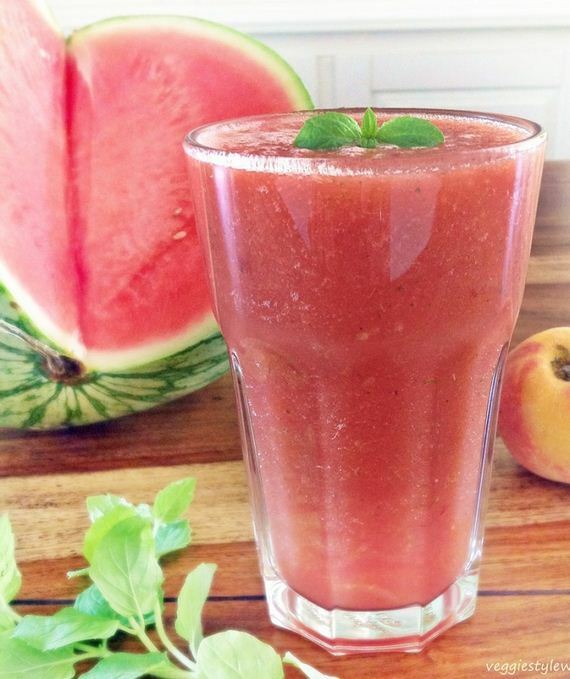 Watermelons are an excellent source of vitamin A, which helps maintain eye health and is an antioxidant; vitamin C, which helps strengthen immunity, heal wounds, prevent cell damage, promote healthy teeth and gums; and vitamin B6, which helps brain function and helps convert protein to energy. 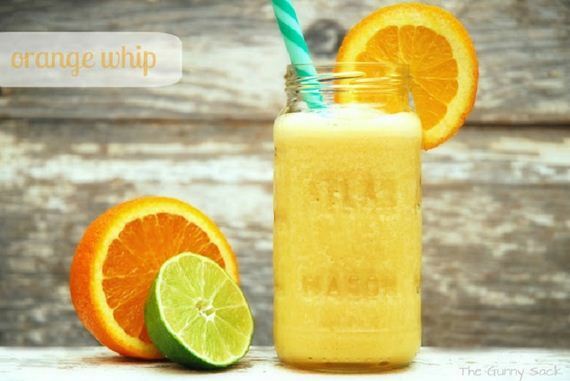 Put orange juice concentrate (or way better, fresh squeezed oranges) , water, milk, sugar, ice and vanilla in blender and blend until smooth. Pour into glasses and enjoy immediately! We did find that fresh pineapple is a little tricky to work with in a smoothie. When first testing this recipe we used fresh pineapple at room temperature. Fresh pineapple is very juicy and made it difficult to achieve the thick, smoothie consistency we were looking for. Using the liquify function, blend your limeade until it’s the consistency you want (think slushy). You’ll also want to taste it too. If it’s too tart, add a little more simple syrup. If it’s too sweet, add in a splash of water or lime juice. 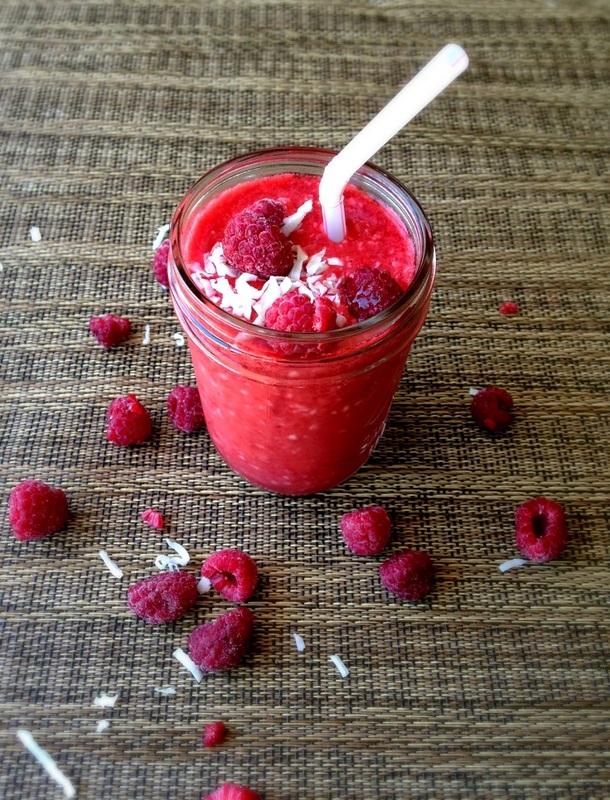 Combine raspberries, milk, and coconut in a blender. Blend until smooth and add ice as needed. Enjoy, preferably with someone you love (and with a little tiny umbrella in your drink). 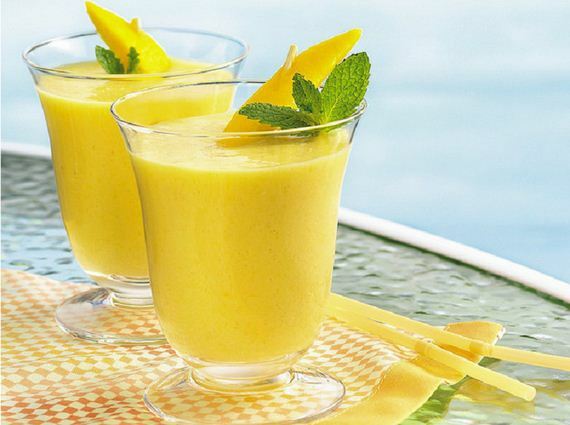 This Mango Peach Smoothie is one of our go-to snacks that we love. Its a perfect afternoon snack, and we especially love blending this up post workout. Its refreshing, loaded with vitamins and minerals, and has protein from the Greek yogurt which helps keep you fuller, longer. 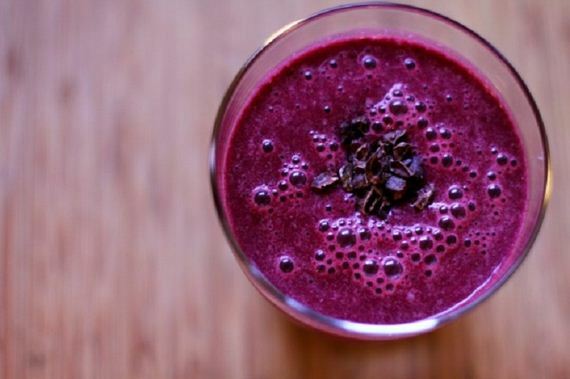 Blackberry Cherry Smoothie is perfect for satisfying a sweet craving. 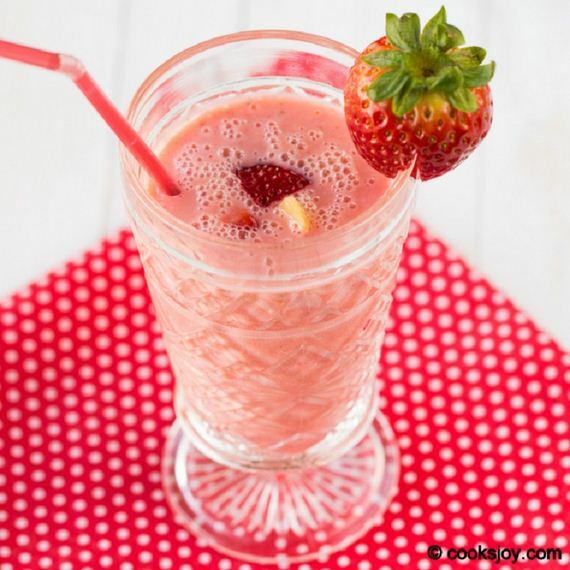 You made this when you will craving something sweet and this smoothie for sure will hit the stop! 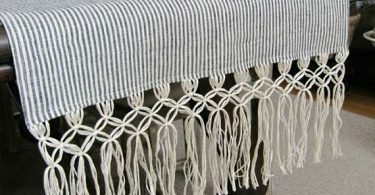 When we made this we used blackberries we had in the freezer from when we flash freeze fresh fruit.